Camgear is a company based in Beijing, China and managed by professionals with a lot experience in the broadcasting and professional video industry. Camgear Inc. designs, manufactures and markets a wide range of camera support equipment and video and photo accessories for video, broadcasting and film industry and the professional photographic as well. 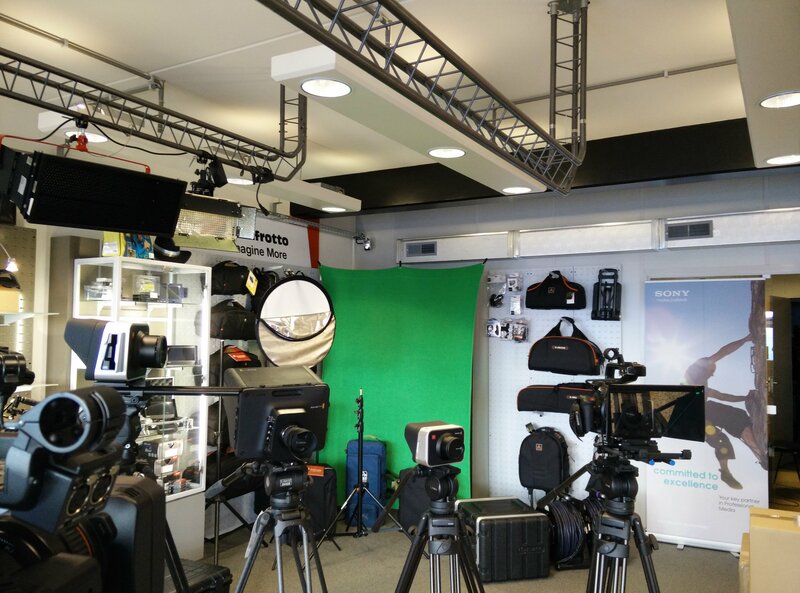 The product lines include an extensive range of camera fluid heads and tripods, lighting equipment and other accessories for cameras. camRade offers a wide variety of carrying bags for all kinds of professional AV equipment. Thanks to the clever designs and use of sophisticated materials such as cordura 1000 and solid stitchery, every camRade provides your equipment with a maximum of protection and gives you convenience when carrying and travelling. Canon introduces an amazingly compact range of handheld professional HD video cameras. Setting new benchmarks in image quality and versatility, these camcorders provide the ultimate in picture quality, thanks to precision engineering and knowledge built up through more than 50 years at the leading edge of professional imaging. With our unrivalled reputation in HD television broadcast lenses, Canon’s optical know-how helps meet the demands of professional users everywhere. Founded in 2000, Convergent Design started as a manufacturer of SD / HD signal converters and evolved the product line to include video recorders, RAW data video capture devices and professional monitors. Convergent Design's progressive technology design means that each new device includes the features and technology of the ones that preceded it. Convergent Design products are designed and manufactured in Colorado Springs, Colorado. Sachtler is a worldwide leading producer of camera support equipment such as fluid heads, tripods, pedestals and lighting. For a hundred years, the Schneider-Kreuznach brand has stood for cutting-edge technology made in Germany. As an innovative developer and manufacturer of high performance lenses, industrial optical equipment, and precision engineering, we represent excellence in products and processes. Let us show you the many facets of Schneider-Kreuznach. Sonnet Technologies Inc. is a leading provider of Thunderbolt™ 2-to-PCIe® card expansion systems; pro media readers; RAID storage systems; and storage, network, and other interface cards for pro users in the audio, video, and broadcast industries. Streamstar live productie mixers zijn ideaal voor sporttoepassingen. Dankzij de revolutionaire replay technologie en ingebouwde streaming server is het online streamen van een sportwedstrijd nooit zo eenvoudig geweest. Zunow is a Japanese manufacturer of affordable high quality wide angle conversion lenses, attachments and filters for professional video cameras.